Browns TV Aerials has been established for over 20 years, Paul Brown being the third generation of his family to run the family business, Browns TV Aerials has built an excellent reputation for providing high quality digital tv aerial installations and satellite solutions in and around the Telford area including TV aerial repair and upgrading, Freeview and FreeSat installation and connectivity, satellite installation and repair, multi-point installation, large screen TV installation, Digital Radio and telephone extensions. 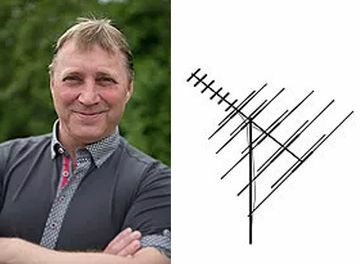 Browns TV Aerials guarantee to be the best digital tv aerial installation specialist in Telford. 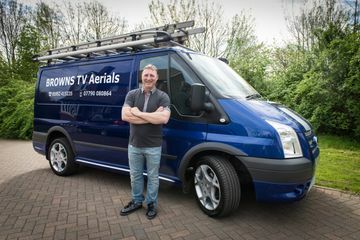 Browns TV Aerials cater for both domestic and commercial clients in the local areas and ensure that no matter how big or small the job in hand is, the same high level of workmanship and customer service is always achieved. Paul Brown is a very highly skilled and experienced engineer and prides himself on his friendly and efficient approach ensuring every single customer is completely satisfied with the level of service. When choosing Browns TV Aerials, you will receive a friendly and professional service. Our friendly, personal approach enables us to fully understand your needs and design a solution to suit.